Dr. Barbara Doll is a licensed professional engineer with over 20 years of experience in ecological restoration. She teaches professional development workshops and academic courses in fluvial geomorphology and ecological restoration. 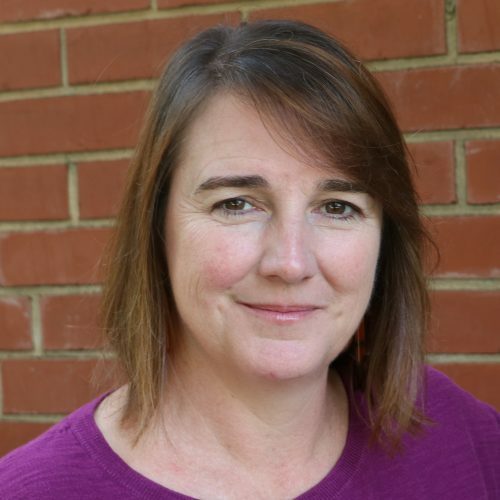 She has secured and managed more than $7 million in external funding to implement water quality and restoration demonstration projects and conduct research at NC State University. She has conducted design, permitting, bidding and construction oversight for several restoration projects in this role. She obtained and managed $8.5 in funding between 1998 and 2011 for restoration of 6000 feet of highly degraded urban channel. Doll, B., Jennings, G., Spooner, J., Penrose, D., Usset, J., Blackwell, J., & Fernandez, M. (2016), Water, 8(4). Crawford, H. M., Jensen, D. A., Peichel, B., Charlebois, P. M., Doll, B. A., Kay, S. H., … O'Leary, M. B. (2001), Journal of Aquatic Plant Management, 39(2001 Jan), 8–11. Liehr, S. K., Kozub, D. D., Rash, J. K., Sloop, G. M., Doll, B., Rubin, A. R., … Burks, D. (2000). , . Alexandria, VA : Water Environment Research Foundation. White, N. M., Line, D. E., Potts, J. D., Kirby-Smith, W., Doll, B., & Hunt, W. F. (2000), Journal of Shellfish Research, 19(1), 473–476. NC Sea Grant and NC State University's Biological and Agricultural Engineering Department (BAE) will work collaboratively with Sounds Rivers, Inc. (SRI) to conduct stormwater assessments and make BMP recommendations for 17 school campuses in the Tar-Pamlico and Neuse River basins. NCSU will also support SRI in ranking and prioritizing the structural BMPs identified. Finally, NCSU will provide site assessment, design and construction oversight for the implementation of $200,000 in stormwater BMPs. SRI has been awarded funding from the Bosch Community Fund, the Albemarle-Pamlico National Estuary Partnership (APNEP) and the NC Department of Justiceâ€™s Environmental Enhancement Grants program for this project. Topographic maps, field surveys, soil cores, and existing campus master plans will be utilized to complete the assessment for each campus. A full report will be provided to each campus outlining areas of concern and needs for their campus. NC Sea Grant and NC State Universityâ€™s Biological & Agricultural Engineering Department (BAE) will evaluate alternatives for the best long-term management and use of Upper Durant Lake within the City of Raleigh's Durant Nature Preserve. Because of the significantly reduced capacity of the lake due to decades of sedimentation, a failing outlet structure, and the structurally compromised spillway and embankment, the City recognizes the need identify opportunities for repairing and modifying the existing lake to improve water quality protection, ecosystem services, flood control, recreational and educational opportunities. NCSU BAE will thereby conduct a watershed and site assessment and develop engineering alternatives for the Lake. Recent major flooding events of the Neuse, Tar, and Lumber Rivers have highlighted the need to identify the causes of the flooding and to assess potential abatement and mitigation measures. The purpose of this project is to apply hydrologic, hydraulic and geospatial modeling and analyses to the Neuse, Tar, and Lumber River Basins to better understand the source(s) and nature of flooding in the Basins and assess potential abatement measures. The NC State University Biological and Agricultural Engineering Department (NCSU BAE) is currently conducting a flood assessment study for the Town of Windsor and the Cashie River in Bertie County. Processes, methods and lessons learned from the Cashie River study will be applied to the Neuse, Tar, and Lumber River Basins. NCSU BAE will use a team of engineers and an integrated approach to model and evaluate landuse changes, extreme flood events, structures and floodplain encroachments. Model results will be used to document the relative contributions of subwatersheds within the basin, landuse changes, precipitation patterns, structures and floodplain encroachments to downstream flooding and to assess the effectiveness of potential abatement measures. The study will include analysis of historical, current and future hydrologic, hydraulic and geospatial conditions within the three river Basins. The NC Division of Water Resources (DWR) has developed draft standards for awarding nutrient credits for stream restoration efforts. The proposed guidance borrows heavily from the current Chesapeake Bay Protocol (CBP). The credit considers three potential nutrient credit elements for stream restoration projects including 1) prevented sediment during storm flow, 2) instream denitrification during base flow and 3) floodplain reconnection. The first element concerns lowering nutrients by reducing stream bank and bed erosion, the second by enhancing the hyporheic zone of the stream and the third by reducing channel size and/or increasing floodplain area. NC Sea Grant and NC State University Biological & Agricultural Engineering Department will review and refine the draft protocol in an effort to assist DWR in developing a practical and appropriate nutrient crediting framework for eligible stream restoration projects with a goal of acheiving nutrient reductions in Nutrient Management Strategy watersheds. Specifically, Sea Grant and NCSU will conduct a review of the draft standards and test the proposed nutrient credit calculation methods on four case study restoration projects in order to: 1) quantify the level of effort necessary to prepare nutrient credit estimates, 2) identify opportunities to address shortcomings and simplify the proposed credit standards and 3) where appropriate, develop modified nutrient credit standards for improving application and accuracy of reduction estimates. In addition, USGS gage station data analysis will be conducted at five streams in order to evaluate relationships in channel size, hydrology, watershed size and floodplain flow frequency. Field survey, assessment and modeling of case study restored streams and modeling of USGS gaged streams will be conducted for this effort. The Town of Windsor has recently experienced severe flooding from several large hurricane and tropical storm events that has resulted in substantial structural flooding and associated damage. The town is actively mitigating the damage through buyout and retrofitting programs. However, due to the historic significance of the town combined with serving as the economic center of Bertie County, there is also a strong desire to protect the future of the town by reducing the frequency and magnitude of future flood events. This proposal outlines a flood reduction feasibility study that is intended to identify appropriate engineering options and best management practices targeted at reducing runoff and surface flow reaching the Cashie River from the watershed and its tributaries and for reducing the direct flow of water into the town during river flooding events. The study will help Windsor and Bertie County to prioritize appropriate approaches for reducing flooding. NC Sea Grant and NC State University's Biological and Agricultural Engineering Department (BAE) will work collaboratively with Sounds Rivers, Inc. (SRI) to conduct stormwater assessments and make BMP recommendations for four school campuses in the Tar-Pamlico and Neuse River basins. The campuses will include Pitt County Community College, Beaufort County Community College, Washington High School, and P.S. Jones Middle School. Topographic maps, field surveys, soil cores, and existing campus master plans will be utilized to complete the assessment for each campus. A full report will be provided to each campus outlining areas of concern and needs for their campus. Additionally, an educational workshop will be convened in Greenville, NC for educational opportunities of local planners, municipality staff, and private consultants. Topics will include minimum design criteria and innovative stormwater best management practices. Continuing Educational Credits will be offered for applicable professionals. Recently, a functional based framework for stream assessment and restoration was proposed where channel functions are categorized by hydrology, hydraulic, geomorphology, physicochemical and biology. Functional categories can be used to evaluate and quantify channel function for reference, degraded (existing), and restored (proposed) streams. This project proposes to conduct functional assessment using the NC Quantification Tool on five restored streams. The five streams will be selected to have adjacent (either upstream or downstream) un-restored reaches in a disturbed condition. Functional conditions for the paired sites will be used to determine the numeric uplift and to determine if project success criteria have been met. The purpose of this project is to evaluate the application of the new functional assessment tool for its ability to detect and quantify functional uplift of stream restoration projects. In cooperation with the City of Raleigh, Engineering Services Division, NCSU will design and monitor an innovative restoration project located at the Millbrook Exchange Park in Raleigh. The site of the proposed project is approximately 1,000 linear feet reach of channel that is an unnamed tributary to Perry Creek that passes through City of Raleighâ€™s Millbrook Exchange Park. The purpose of this project is to evaluate the efficacy of an innovative approach for repairing an incised and eroding urban channel that has been degraded by stormwater runoff from upstream development. The proposed project is expected to reduce the export of channel sediment and nutrients to downstream reaches and surface waters, build a new stream bed with watershed-supplied and upstream channel-supplied sediment, and connect the channel to its floodplain. This approach also is expected to be cost-effective and minimally invasive to existing riparian vegetation. It is intended to improve on traditional stream restoration whereby a new meandering channel and floodplain are constructed and on the RSC approach of filling the channel with a blend of imported washed sand and wood chips. The purpose of this project is to demonstrate and evaluate a regenerative stormwater conveyance (RSC) practice on a swine and beef farm in Randolph county. Discharge from two similar streams will be monitored prior to and following the installation of an RSC on one of the streams. Nitrogen, phosphorus, and sediment loading in each stream will be statistically compared to determine the effectiveness of the RSC. Results will be presented in research articles and fact sheets.